It’s time to review the Shark F80 Multiflex cordless vacuum, which depending on how you look at it, has the longest battery life of any cordless vacuum we know of. The new Shark F80 is basically the upgraded version of the Shark IONFlex 2x which we have reviewed in the past. 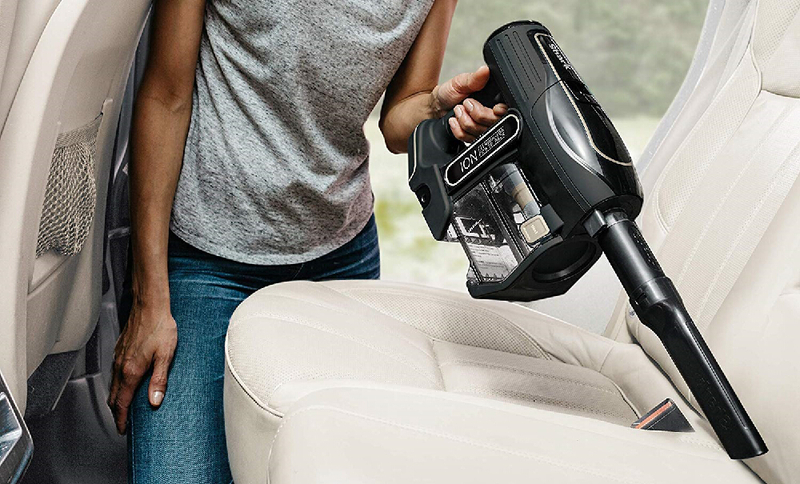 The F80 has many of the same features as the IONFlex, including the DuoClean technology, LED lights on the nozzle, and the multiflex feature which is a flexible wand activated by a button to vacuum under furniture without bending over. This multiflex fetaure also acts as a way to conveniently store the stick vacuum when not in use. Attachment packages can vary but ours came with a crevice tool, an upholstery tool, a car-detailing crevice tool/dusting brush, a charging dock, and two ion battery packs. 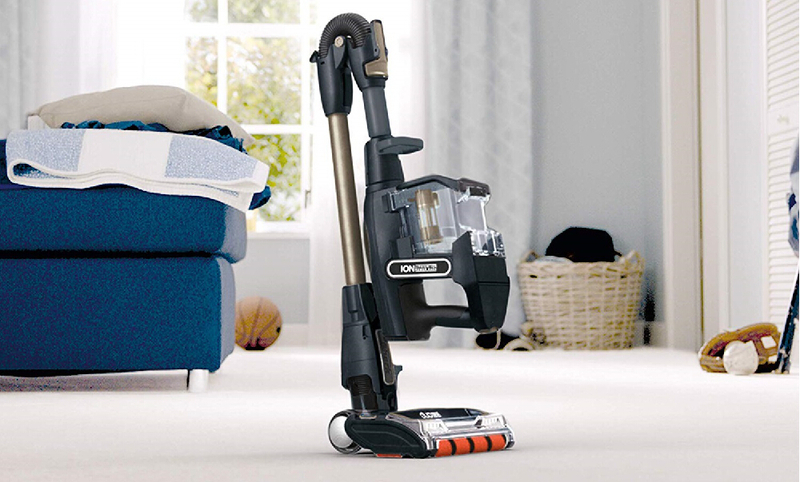 The vacuum has a low and a high power setting with the high power having a 1-minute timer. You can also flip a switch to change from carpet to hard floors which changes the suction and the brush roll speed of the unit. Let’s get into the pros. 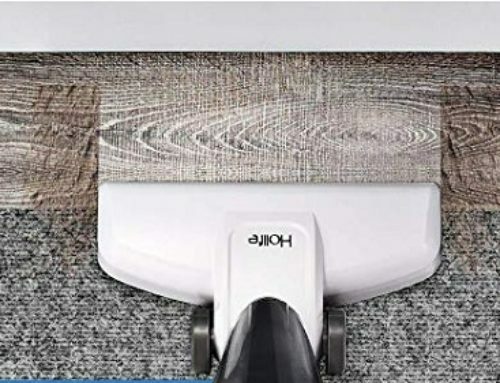 We like the DuoClean technology, which translates in an innovative cleaner head design incorporating a soft roller which makes it amazing for hard floors as well as a standard brush roll for carpet agitation. Quite simply, DuoClean Technology can pick up things other vacuums just can’t. 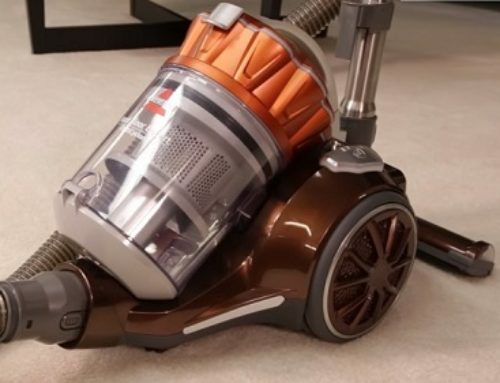 This is mostly evident with large debris on both hard floors and carpets but its performance with fine dust is also well above average for vacuum cleaners of any type. And it does all this while retaining one of the best seals on hard floors and carpet. 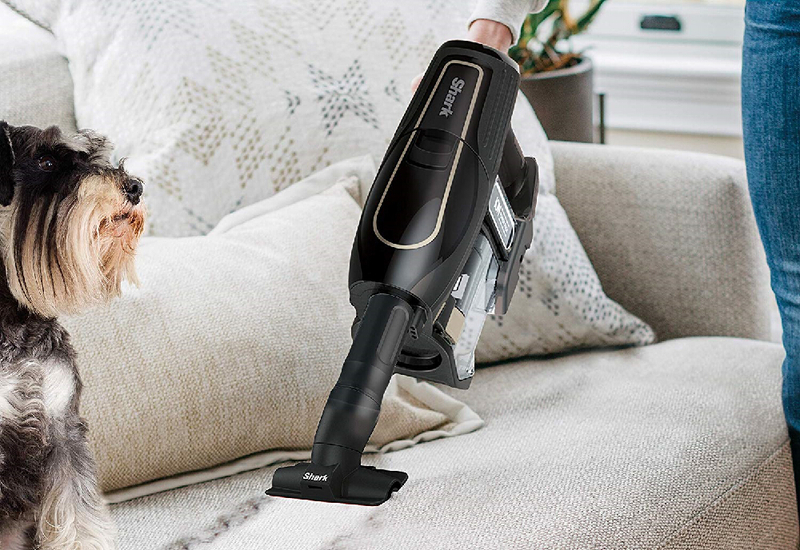 It’s also a magnet for pet hair on hard floors and carpet but it’s agitation is pretty good for a cordless stick vacuum, doing quite well with fine debris on carpet. All of these tests were done in the both low and high power setting and we didn’t find any instance where the high power was strictly needed. The DuoClean nozzle relies less on air flow than other cordless vacuums. The Shark relies rather on the mechanics of the floor head. All that to say, that its low power setting has quite enough power. Another big pro is the battery life. This is also where the biggest change from the previous IONFlex cordless vacuums comes in. Despite the exact same battery being used with the IONFlex, Shark has increased the battery life by adjusting the power of each setting for the Shark F80. For example, Shark has reduced its power on the lower power setting to 24 CFM at the wand which now matches the Dyson V10 on its lower power setting, giving it 43 minutes and 32 seconds per battery. This is pretty good, even before you factor in the extra battery. But as you can see it also makes the Shark F80 the best cordless vacuum for battery life that we have tested yet. We should also mention that its power on “high power” is pretty significant, reaching 84 inches of suction and 38 CFM of airflow at the wand. This is above average for cordless vacuums on both counts. We initially thought the multiflex feature was just a gimmick but we do find it is intuitive and helpful for getting under beds and other furniture and we do actually use it. The bin size is kind of a pro in that it’s just a little above average at 2 and 3/4 cups. 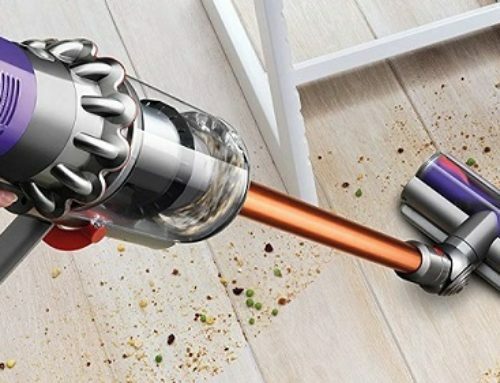 This is compared to the Dyson V8 at 2.5 cups which we consider the average amount. We liked how “springing” the bin release was, but like other cordless vacuums, you do occasionally have to fish out stuck debris but not quite as much as other cordless vacuums. So let’s move on to the cons. It’s pretty minor, but although the weight of the handheld unit is basically the exact same as the Dyson V8, which we consider to be light, its weight distribution is not quite as good. It’s a little more tiring on the arm in handheld mode, at least with a wand attached. 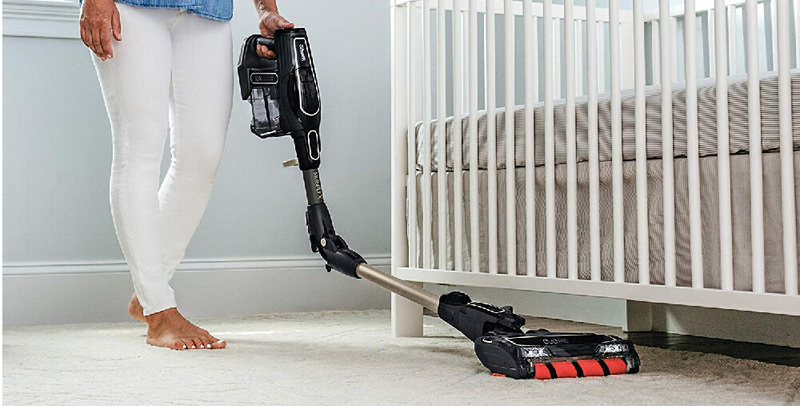 While we consider the Shark F80 easy and lightweight on hard floors, on carpet, the DuoClean roller does have a tendency to act like a self-propelled vacuum which takes additional energy to keep pulling it back. Though we did notice that this effect almost completely goes away on its low power setting on carpet, which is a good change from the previous version. The last con is that it’s the only Shark vacuum we know of, besides the other IONFlex and rocket models, that does not have a HEPA filter. If you want a Shark cordless with a sealed system and a HEPA filter, you’ll need to upgrade to the new Shark P50, which we have reviewed and really liked. So the bottom line is this: the Shark F80 cordless stick vacuum is better than any non-DuoClean cordless vacuum you can get in terms of its pickup ability and it’s also the best you can get in terms of battery life for a cordless vacuum. That being said, it’s not all that different from the Shark IONFlex 2x which also comes with two batteries.